Hawa Mahal is a historic place, it was built by Maharaja Sawai Pratap Singh back in 1799. It is famous for its unique structure , it has a huge number of small windows which allow cool breezy winds to enter the place and make a chill place during the hot summers. The reason for the construction of Hawa Mahal was, it allowed the women from the royal families to witness festivities on the streets and this Mahal also prevents others to see them. you can view the Rajput architectural style in Hawa Mahal. The Mahal is colored with red and pink sandstone. When you enter the Mahal, a beautiful fountain welcomes you. Additionally, they are a museum which showcases miniature paintings of Rajput culture. 1. you will find a number of small shops near Hawa Mahal when you can get local handmade stuffs at low price. 2. The place is open from 9:00 AM to 4:30 PM. 3. The place is the perfect choice to click beautiful pictures with family additionally you can enjoy the lovely breeze at Hawa Mahal. City Palace is a magnificent tourist attraction in Jaipur. The entire place is divided into courtyards, buildings, and gardens. The place has a beautiful museum and showcases the major part of royal residence and lifestyle. Basically, the City Palace is a reflection of royal heritage and has various unique handcrafted products from the royal family. 1. Photography and videography are allowed inside city palace, you can capture all the beauties in your camera. Amber Fort is situated beautifully on the top of Aravali Hill, it has a magnificent reflection across the Maotha Lake. The architecture is spectacular and perfect for history lovers. The entire fort is loaded with pink and yellow sandstone. Amber Fort is paradise for all the photography lovers, you can get a hint of nature. 1. If you want to know the history and beautiful stories about the Amber Fort, hire a local guide. 2. If you are lucky, you may be welcomed by local entertainers, singers, folk dancers and snake charmers near the fort. 3. Reach early to capture the beauty of Amber Fort. If you want to enjoy the royal hospitality of Jaipur, this is the must visit place. Chokhi Dhani is located on the outskirts of the Jaipur, near Tonk Road. your concept of Chokhi Dhani gives you a feel of the rural Rajasthan village, its tradition, handicrafts, paintings, and folklore. The village has all modern day amenities to provide complete comfort to the guests. Additionally, the villagers entertain yours with folk songs, dance, camel rides, puppet shows, magic shows, horse riding. It is the best place in Jaipur to visit with family, I bet you won’t want to leave the place. 1. you can start early to enjoy all the fun-filled events at Chokhi Dhani. 2. Take your camera to capture lovely pictures. The mesmerizing Birla Temple is a Hindu temple and is also popularly known as Lakshmi Narayan Temple. The magnificent temple is beautifully built with only white marbles and the walls are embellished with eye-catching carvings of Gods and Goddesses. you can notice a lot of words of wisdom from the Puranas and Upanishads. Lord Vishu and Lakshmi are the main deities. The best time to visit Birla Temple is during Krishna Janmashtami. The temple is a happening place and is filled with fun activities. 1. Avoid taking cameras and phones inside the temple premises, it is not allowed. 2. Taking pictures and videography is strictly prohibited. 3. Sleeping, laying and wandering in the verandah are is strictly prohibited. 4. The best time to visit the temple is during the evening, the entire view is breathtaking and mesmerizing. 5. Plan your visit near the aarti time to get the appealing feel of the place. Jaipur is such a colourful city. It is truly a place I loved shopping in. Love your compilation. Jaipur is in my bucket list. Thank you for sharing the best places. 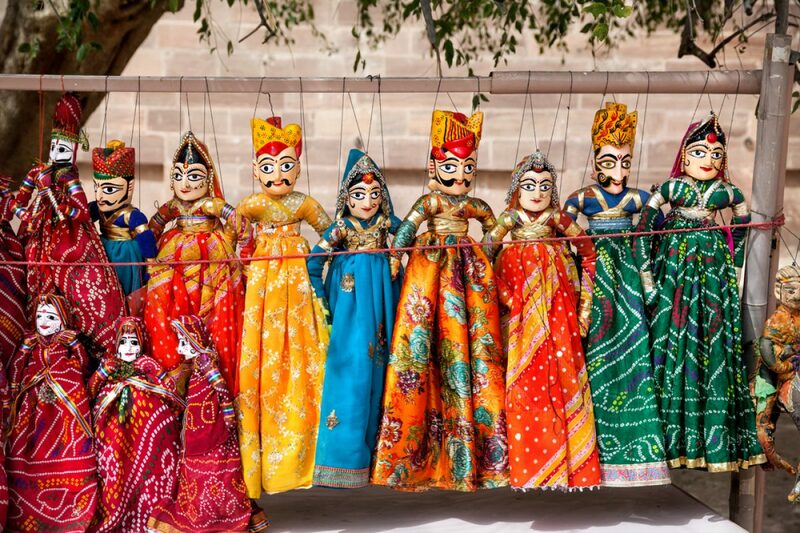 Thats an amazing guide to check out before our trip to Rajasthan. You’ve prepared such a wonderful itinerary for Jaipur. Reminds me of when I had visited it. Loved the city totally. Jaipur is one of my favorite cities. I have been here many times. I have missed visiting Birla Temple though. Jaipur is always in my list to visit, thanx for sharing such useful post and helping me to discover best. Such a vibrant place. Thanks for the guide. ? Such a vibrant place. Thanks for all the info. ?